Ander Herrera has lavished praise on Manchester United veteran Michael Carrick ahead of the midfielder’s retirement at the end of the season. The former England international is set to hang up his boots in the summer before joining Jose Mourinho’s coaching staff next term. Carrick has been the heartbeat of the Manchester United midfielder over the past 12 seasons since his move to Old Trafford from Tottenham Hotspur in 2006. The versatile midfielder has won five Premier League titles, the Champions League and the FA Cup during his decorated Manchester United career. Carrick has been limited to a handful of appearances in the current campaign due to a string of injury problems. Herrera opened up about his admiration for Carrick ahead of Manchester United’s trip to Premier League leaders Manchester City in Saturday’s derby. 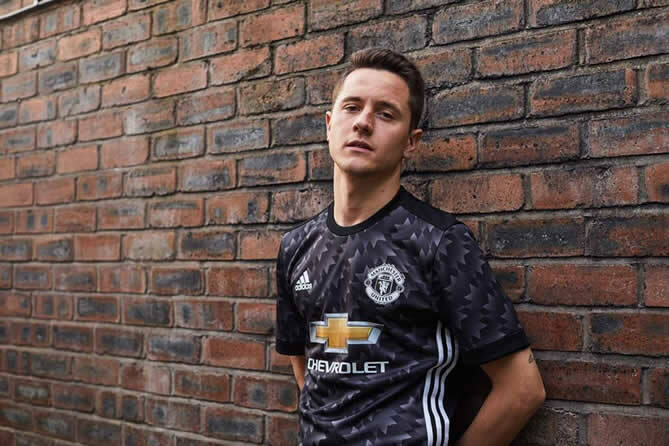 “I have no words to describe him… I feel almost a little bit embarrassed to talk about him because he is simply a legend,” Herrera told Man United’s website. Manchester United finished in sixth place in the Premier League table last term but the Red Devils won the Europa League and the League Cup to secure some silverware under Jose Mourinho. Manchester United will take on Tottenham Hotspur in the FA Cup semi-final at Wembley later this month.